Wait a minute, how do you "accidentally steal a car? "; It's a rental man, and when she came out of Walmart someone else left the keys in a car that looked identical! 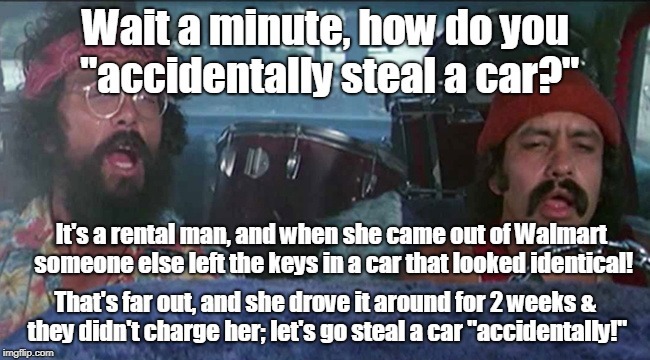 That's far out, and she drove it around for 2 weeks & they didn't charge her; let's go steal a car "accidentally!"